Bring Fried & Dried hair back to life with this rejuvenating haircare system for hair that’s been colored, permanently straightened or feeling weak, brittle or dehydrated. - Rebuilds extremely dry, damaged hair with a generous dose of maximum-strength proteins and moisturizing humectants. - Revives hair from roots to ends.Ideal for strengthening all hair types. - Doesn’t weigh hair down. - Supercharged Natural Ion Complex accelerates water deep in to the hair for maximum hydration. 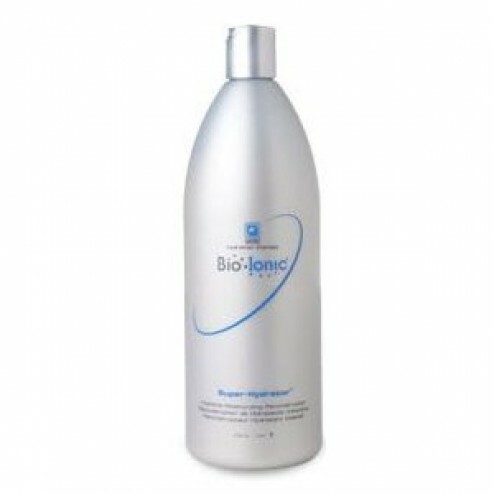 - Rich intensive formula bathes hair in rejuvenation. - Essential strengthening proteins help rebuild and reconstruct hair. - Essential botanicals balance and care for the hair. - Moisturizing humectants hydrate and nourish. After shampooing with Bio Ionic Intensive Moisturizing Shampoo, apply Bio Ionic Intensive Moisturizing Reconstructor to palm and emulsify. Spread evenly from roots to ends. Use after every shampoo for extremely dry, damaged hair. Once a week for maintenance.